I am thoroughly embracing Fall this year! It's hard to believe that Thanksgiving is just two days away... where has the time gone?!! I am so excited to share my version of the Wimberley Dress I tested for Little Lizard King! 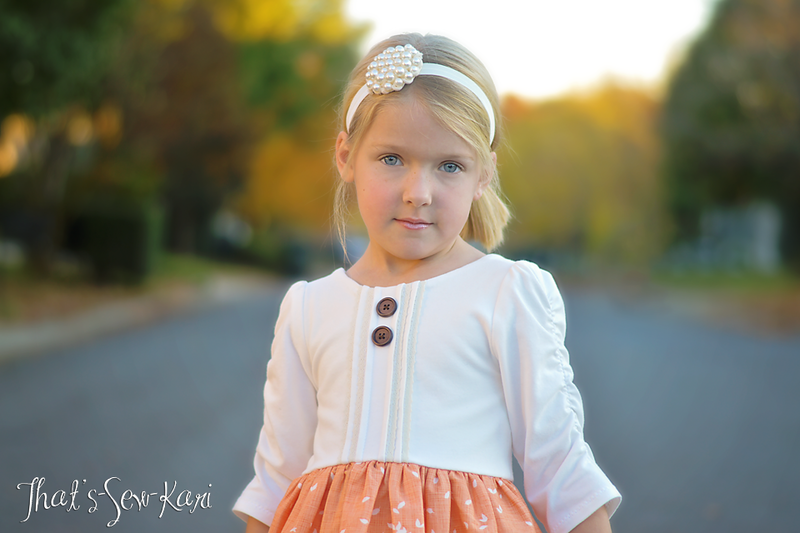 Laci debuted her first pattern with LLK with the Roanoke and I am smitten with her designs. 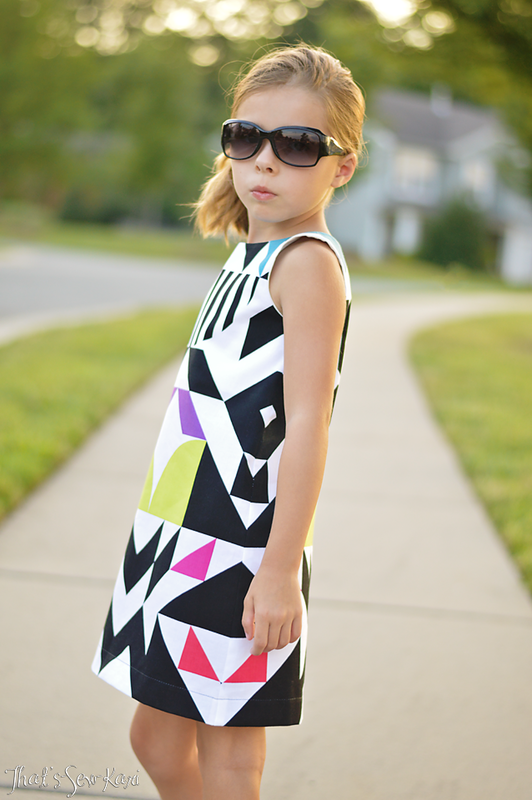 When she called for testers for this dress, I immediately signed up. I had my fabric picked from the moment I saw the options. Usually I take forever deciding so this was a nice change. 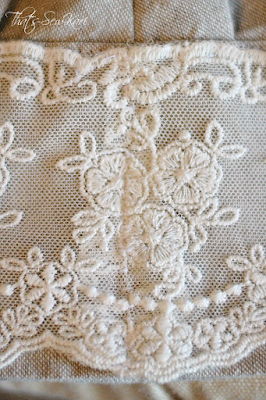 One of my favorite details is the pintucks on the bodice. I sewed this up in Off White cotton Lycra from Purple Seamstress. 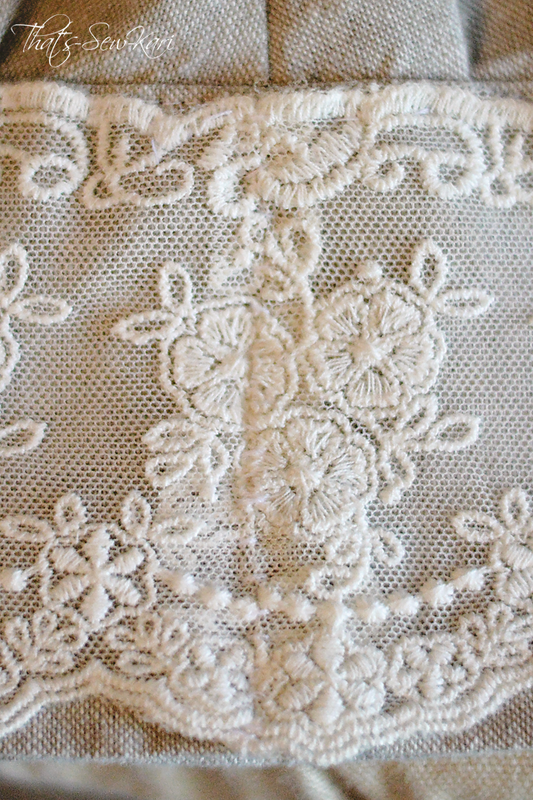 Along each pintuck, I added crocheted lace from Hobby Lobby for added interest. I wasn't sure how easy pintucks on knit would be, but they sewed up nicely. The bodice is lined too and my lining matched perfectly with my pintucked bodice. One thing to note on the bodice, the clear elastic is optional to add, BUT I promise you, you will appreciate taking the extra few minutes to sew it on. 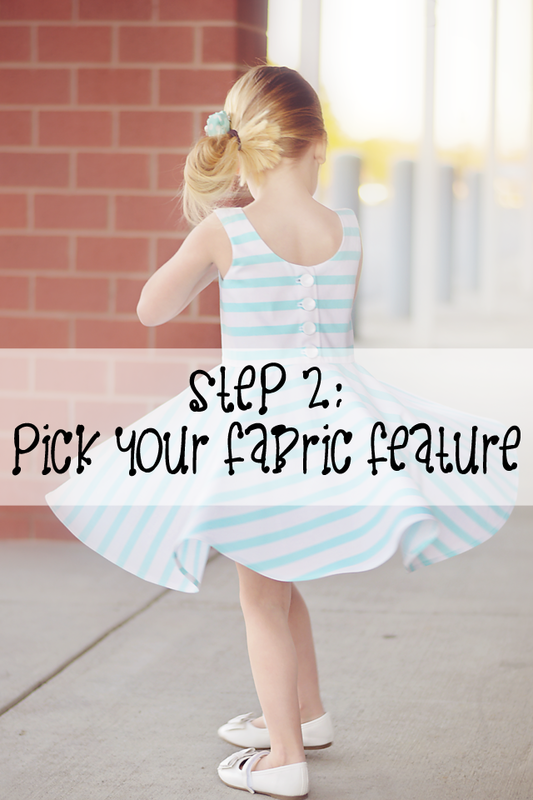 It really helps the knit from stretching out, both when attaching the skirt, and again from the weight of the skirt, especially the gathered circle skirt with ruffle. I love the ruching on the 3/4 length and long sleeves. It adds a bit more femininity and just the right amount of interest. 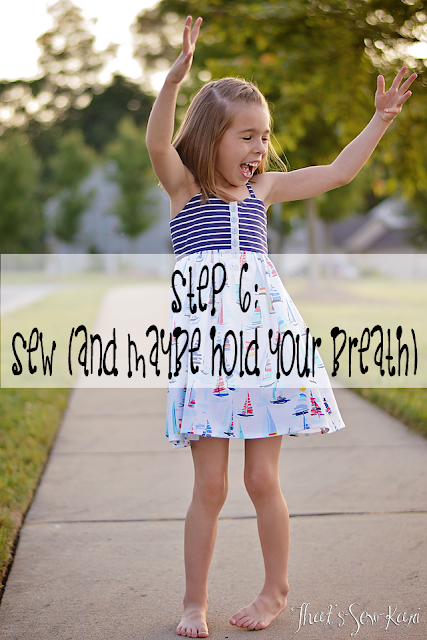 If you choose this option, be sure to stretch the elastic evenly as you sew so you end up with the perfect gathers. 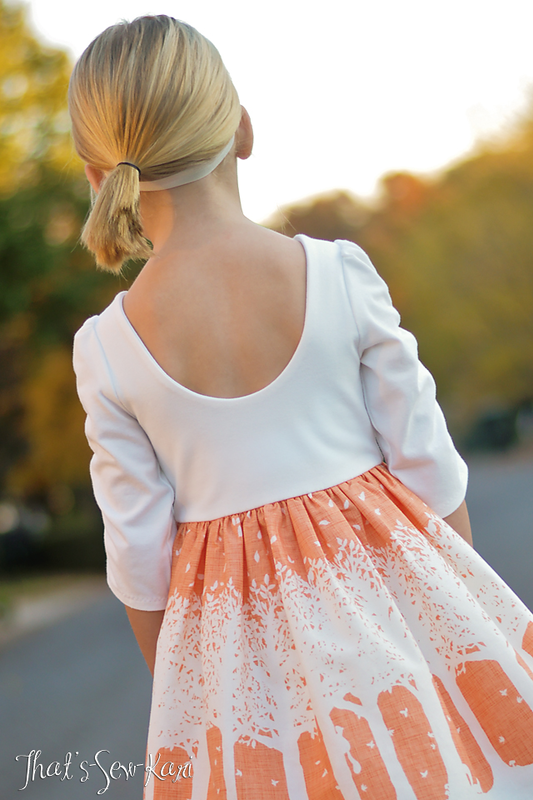 Oh this back is just so sweet!! If your child falls into a smaller size in the waist than the chest, be sure to grade down the sides to the smaller waist for a custom fit! It will ensure that the scoop perfectly hugs the back rather than have any gaping. I think this pattern can take you year round! With all the different options, you can make them all unique too. 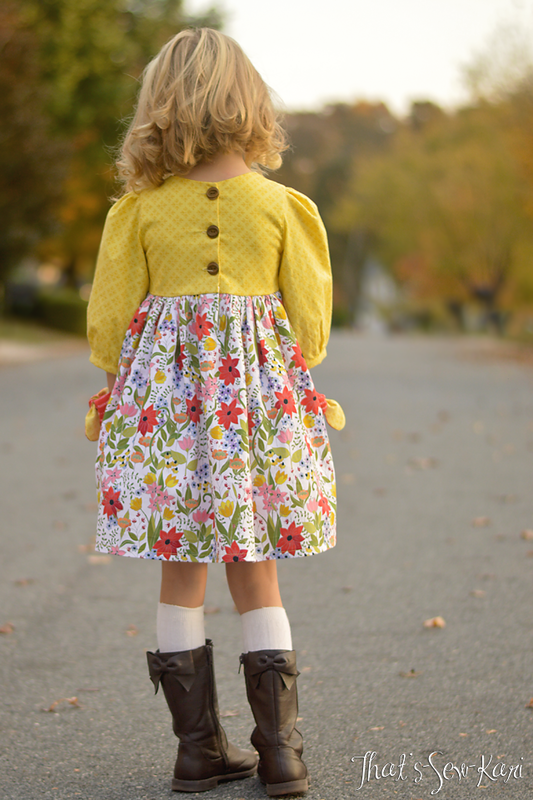 I chose to sew the Simple Skirt because I have been hoarding this Moda Autumn Woods for a while now. I was able to cut a size 6 skirt from one yard of double border and I am pretty sure I had enough left in the middle that I could have added the optional waist and bow. 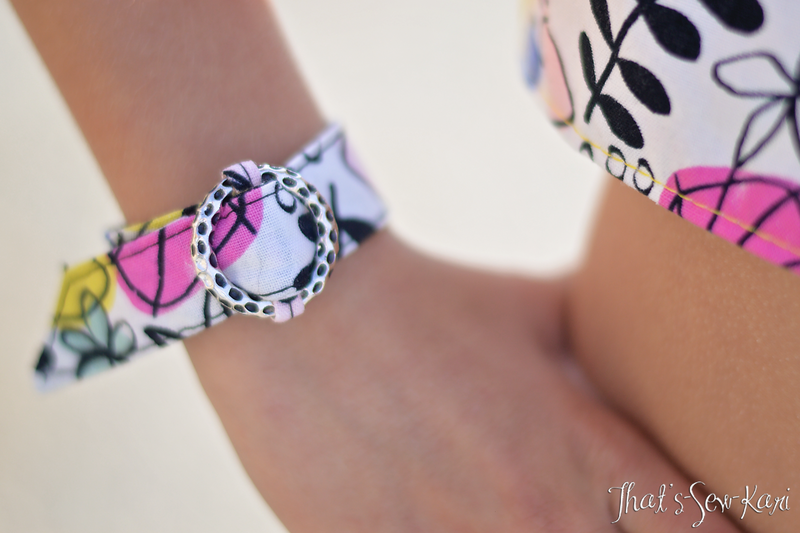 I decided to leave it off of this version, but it's a nice option to have and a great way to incorporate coordinating prints. 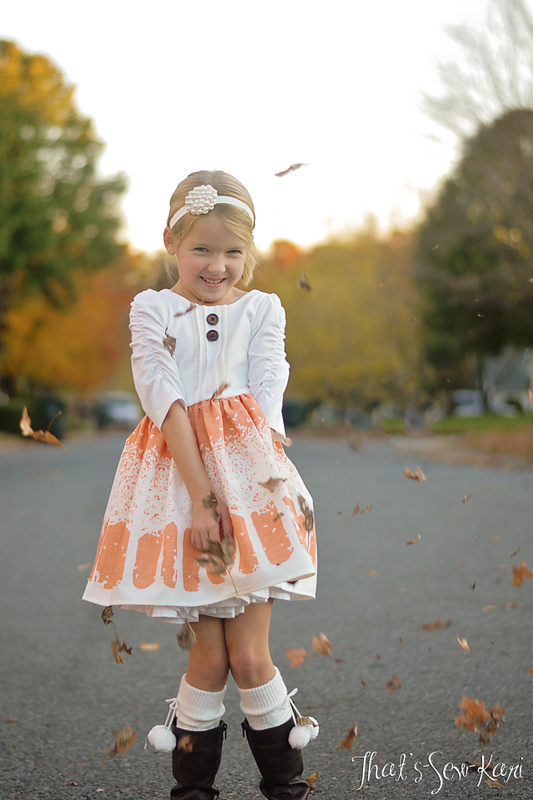 After pictures, we took advantage of all the leaves lying around! Head to my Facebook page to watch the videos of her with the leaves! She had so much fun throwing leaves around! I'm not sure if my neighbors appreciated the leaves strewn about.... whoops!! 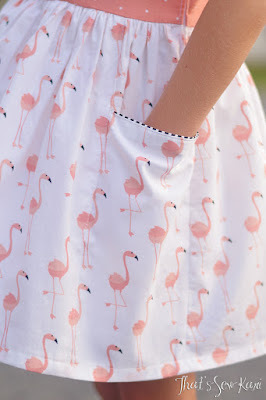 STEP 1: Important details to find out before you cut: Check the pattern to see what your seam allowance is as well as how much the bodice overlaps (if you are matching across a placket). Also, for stripes or any important skirt details, take note of the hem. STEP 2: Take a look at your fabric. What part would you like featured? If you are matching across, a button placket, you will need to decide what part you want to fall where the buttons will be. Pay attention to which side of the bodice will be on top. I prefer the left side to be on top. I iron a vertical crease here. Unfold. Then add your seam allowance beyond that point. You can also fold the SA on the pattern piece and then match the crease on the pattern to the crease in the fabric. 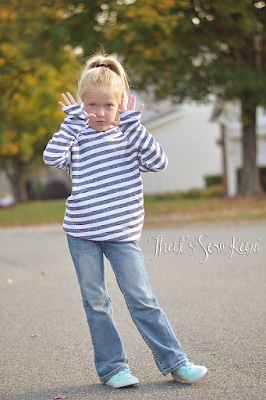 *** When cutting stripes, decide what stripe color you want to be featured at the seam line of the waist or hem. 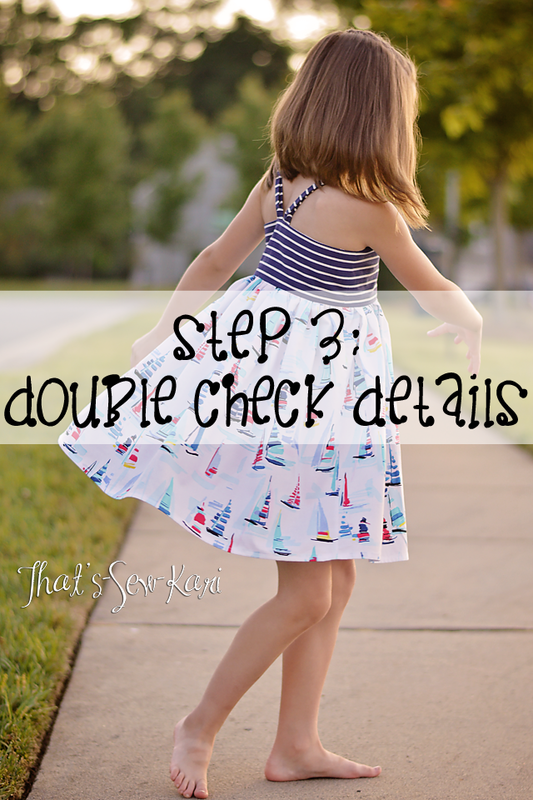 STEP 3: Double check that your pattern piece is in the correct spot and that you have double checked the pattern for the correct seam allowance. Go ahead and cut your first side. STEP 4: We will cut the second side, but you will need your first side handy. You will take the first side, fold the SA under at the crease you ironed earlier. 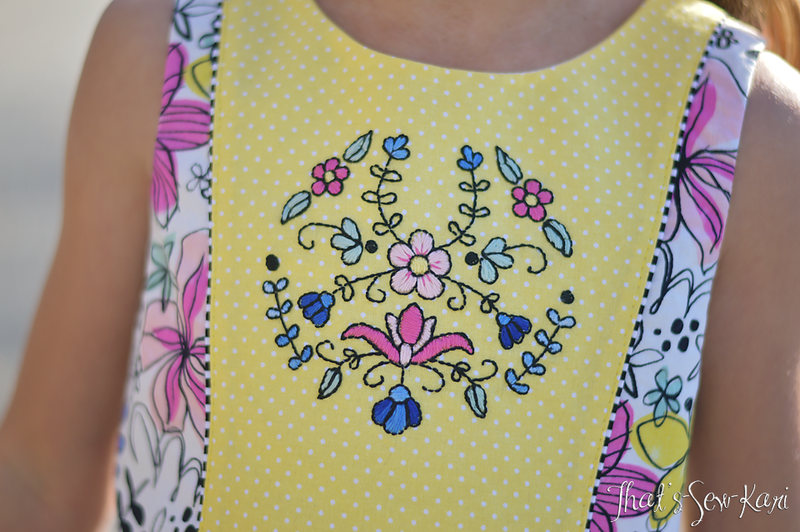 Then, you will lay your bodice on the fabric (right side up), matching the print. This is how your fabric will essentially look, after sewn. Now, you will be cutting a reverse image of the first side. Fold your SA on your pattern piece and turn it wrong side up. With a pencil, draw a vertical line marking the part that will be covered by the overlap of the other side. With the first side still laying in place, carefully position your pattern piece (wrong side up so it's a mirror image) under the first bodice side so that the vertical line you just drew on the pattern meets the folded edge of the first side. Weight down the pattern. Remove the first side from your cutting area and unfold the seam allowance on the pattern piece. Weight it down (or pin) and cut your second piece! Once you sew your bodice together and turn right side out, add your buttonholes and buttons per the pattern. You should now have a picture perfect button placket (that may appear hidden, depending on your fabric and button choice). 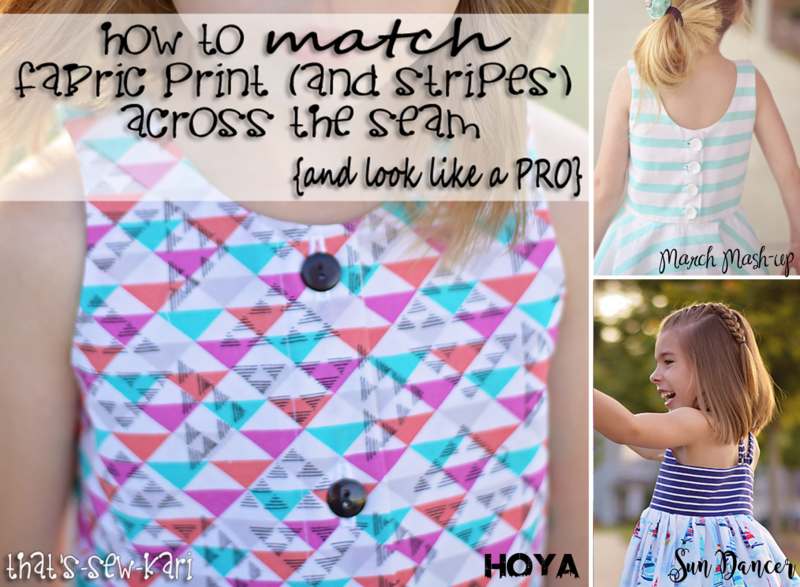 *** To match across a seam, you will simply match at the point of seam allowance, as there is no overlap. 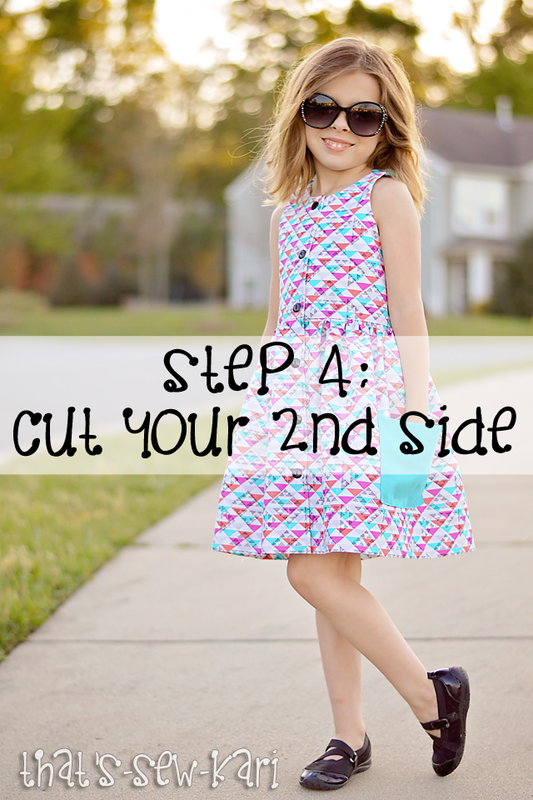 FOR STRIPES: You must cut the second side with the same color stripe at the bottom of your pattern piece. STEP 5: This step applies to matching stripes and prints across a seam. Pins will be your best friend. Match your raw edges together, taking care to match each stripe. I like to pin perpendicular so I can leave the pins in while I sew. 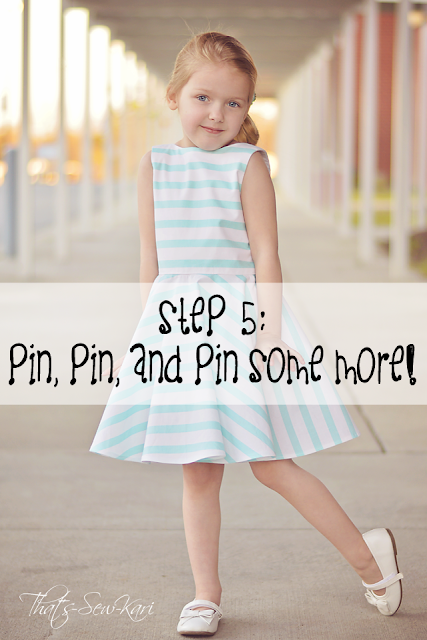 Especially with stripes, you will want to make sure every single stripe is pinned. Can you find the huge kangaroo pocket on the front?! It's no secret that I love sewing skirts. My daughters love wearing skirts, especially my oldest. 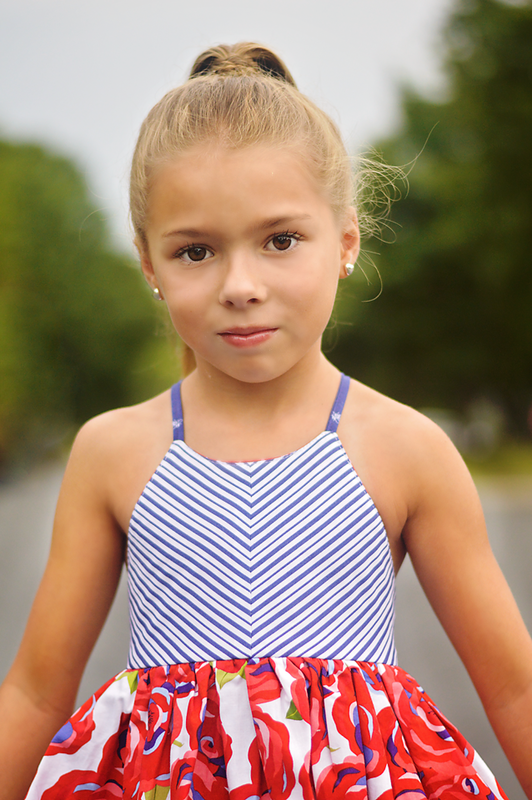 At 8 years old now, she definitely needs to feel cool in my creations for her. 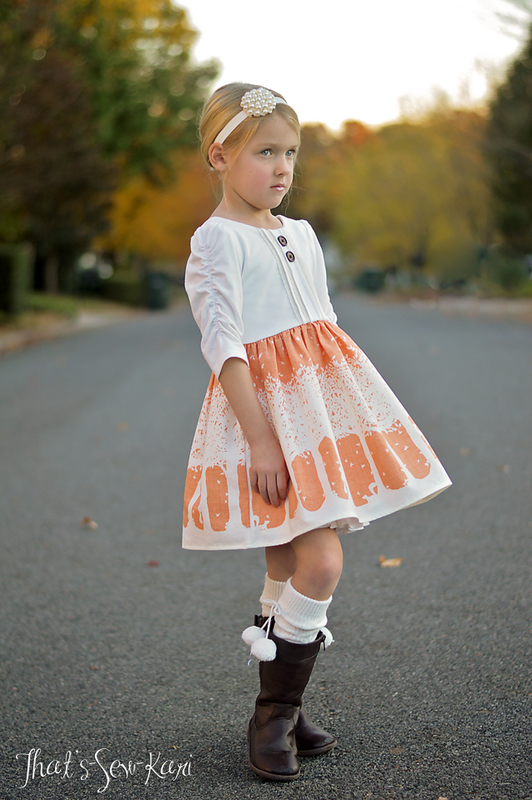 Modkid MARA SKIRT and the PERFECT TEE scored high on the cool factor. 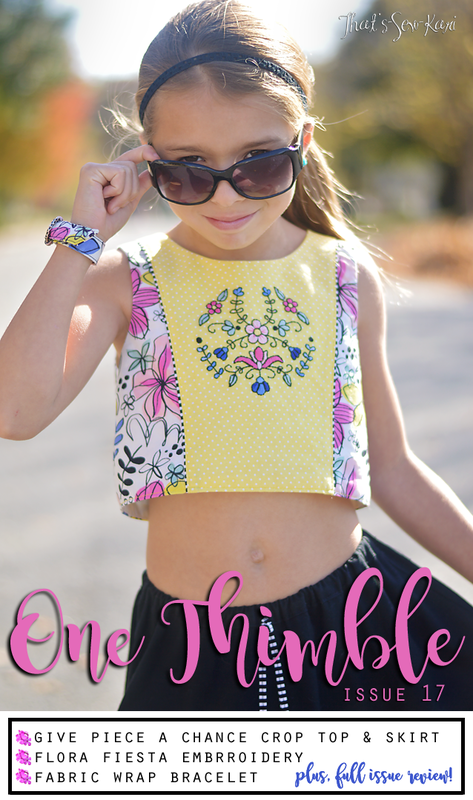 These patterns come in both girls and tweens/teens, covering itty bitty 2t all the way to Girls 18! The MARA SKIRT is designed for bottom-weight wovens, but I'm happy to report that I used quilting cotton in my test and it holds its shape well. The pattern pieces are well labeled, complete with notches and everything you need to successfully sew your skirt. The steps are well organized and are easy to understand with clear computer images. The back is comprised of 3 panels and the front has 4, along with a fully functioning snap placket (sewn in a very genius way). 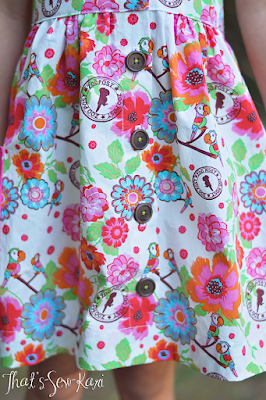 The skirt has been slightly slimmed at the side seams since this version was sewn. Normally I stress about pattern matching across the seams and what not, but the fabric I chose was busy enough that it's not really noticeable. I have not tried it with a classic geometric repeat to know how easy it would be to match it all up. I may give it a go and report back in the future. The PERFECT TEE is a slim-fit tee in both regular and cropped length and either short or long sleeves. Miss 8 seriously loves crop shirts and I thought it would give the MARA SKIRT an "edgy" vibe. We paired it with a sleeveless white jean jacket, funky short boots and sunglasses to complete the look. 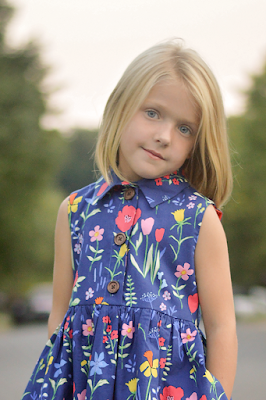 The fit has been perfected a bit beyond the version I sewed and I am itching to sew up another. 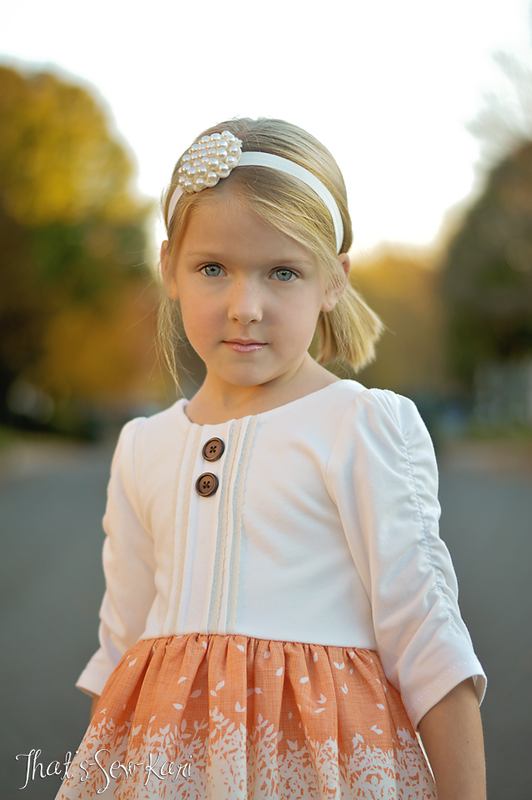 The pattern contains all the pattern pieces you'll need including the neckband piece. This is one of my favorite things! I really love not having to measure out my own neckband. Another thing that sets this pattern apart from other basic tees is that the sleeves are not cut on the fold. It helps achieve the perfect fit and live up to it's name. 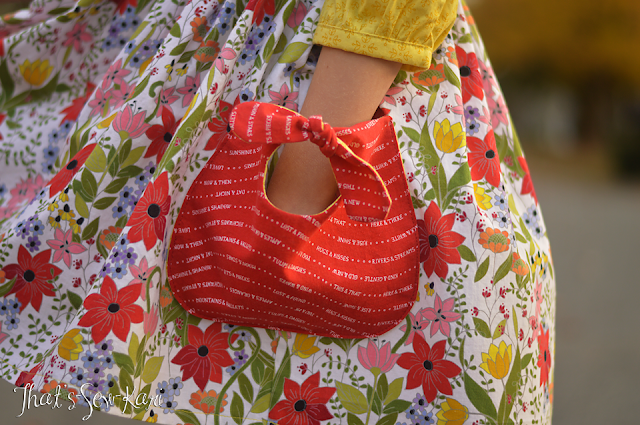 Much like the MARA pattern, this pattern is easy to follow and professionally created. The pattern also contains many tips and tricks for sewing with knit fabric. Modkid was my first real pattern I sewed. I sewed up the Addison, Doc McStuffin's style for her 4th birthday. 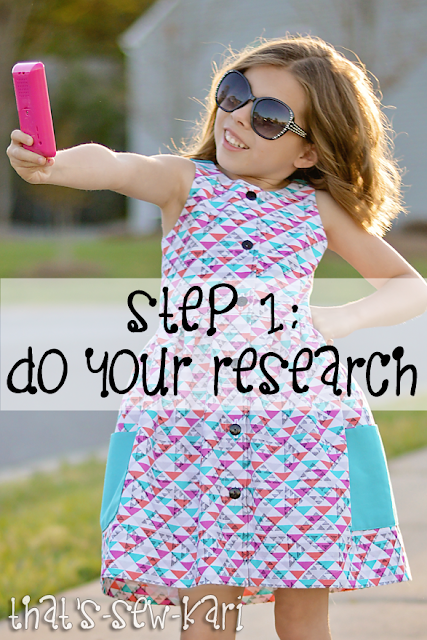 It's also the very first blog post I wrote (looking back, I cringe at what I wrote...lol). Modkid has a special place in my heart. 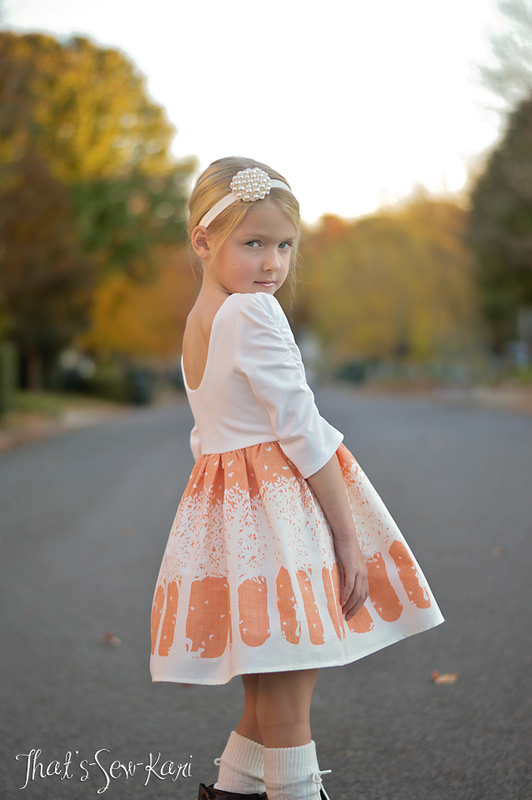 I have always gotten great results and her patterns are very professionally written. Woo-hoo!! It's FINALLY fall here in the Carolinas. 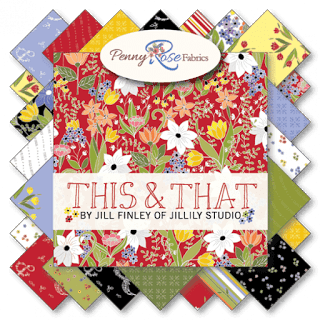 I am thrilled to join the blog tour for Jill Finley's newest fabric line for Penny Rose Fabrics, "This & That". It is the perfect palette to kick off my fall sewing. The main print in this collection is full of gorgeous blooms in vibrant reds, yellows, pinks and greens on either a red, black or white background. The coordinating prints in the collection compliment each other perfectly. 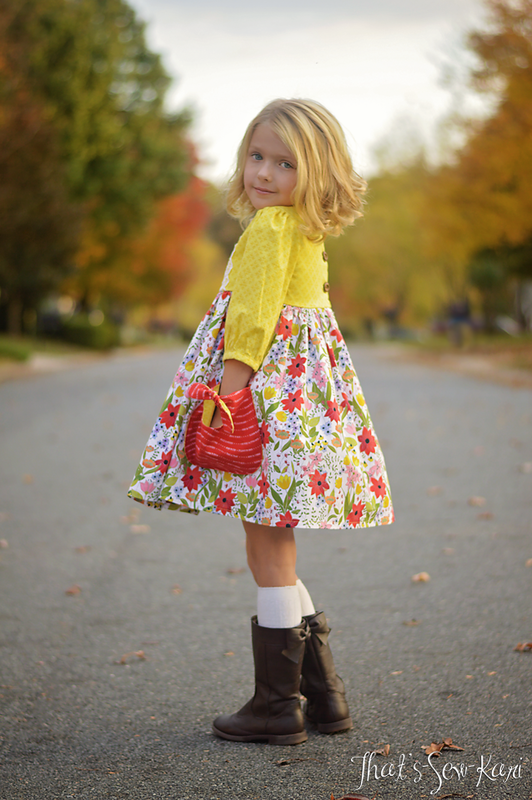 I selected three prints: This Main White, This Graphic Yellow, and This Script Red and chose to sew my daughter a Roanoke Dress by Little Lizard King and then I added a "little bit of this"and a "little bit of that". 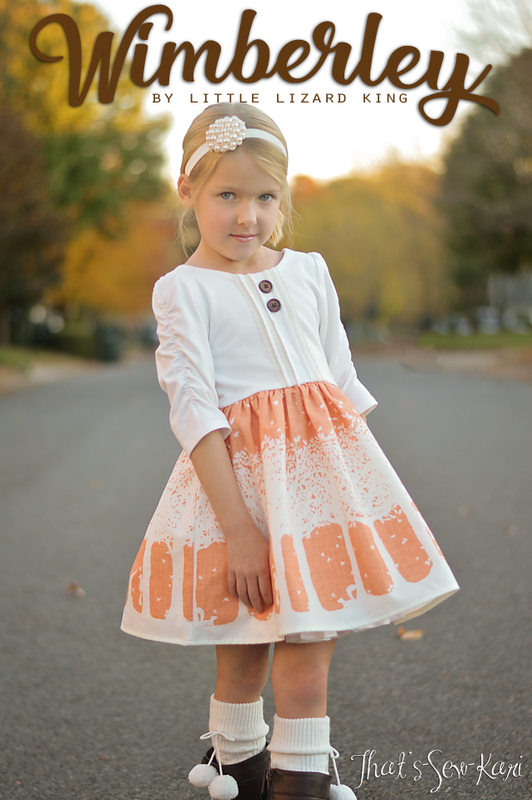 I think with a simple change of the shoes, my daughter can also carry this dress on into the spring. 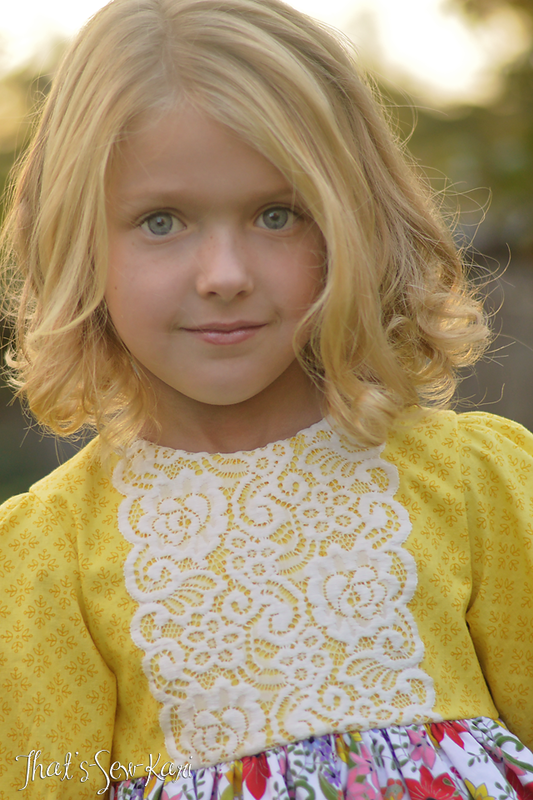 The Roanoke Dress features a gorgeous split bodice design, but I saw this remnant of wide lace in my sewing stash and loved how it contrasted against the cheery yellow bodice. I omitted the pintucks in the skirt in favor of adding my new favorite pockets, the Emory Pockets (free in the Izzy & Ivy Design group on Facebook). I thought the pop of red from the This Script Red was the right amount of accent. I lined the pockets with the This Graphic Yellow. This Script fabric is full of two items that often are paired together. It's fun reading all the pairs. Obligatory back picture 😜 My daughter has taken so many pictures over the past few years, she knows all the angles I need to shoot. LOL It takes more time to get ready for photos than it actually takes to capture them. 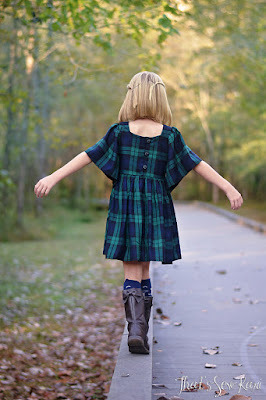 I really would have loved to have taken her to a local park with a little walking path, but photo shoot day was packed with the School Book Fair and a Soccer Banquet that a trip across town to the park could not be squeezed in. Luckily, our street is lined with some gorgeous fall trees. With those fall trees come fallen leaves!!! 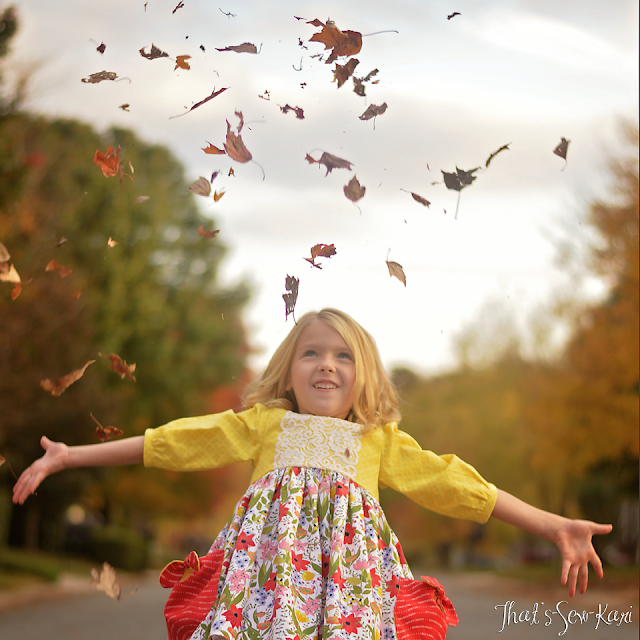 She had an absolute blast gathering leaves and tossing them into the air. She absolutely loves her new dress. 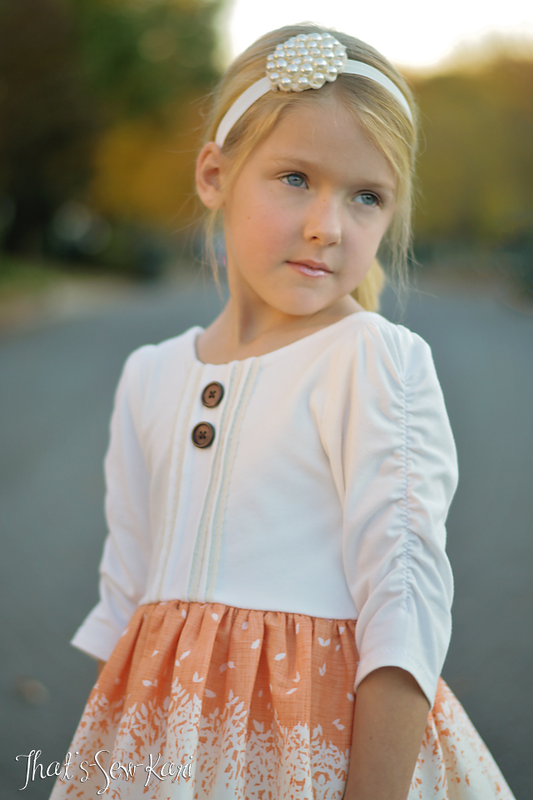 When I finished sewing it, she gasped and said how beautiful it was. She looks absolutely radiant in her pictures which is the true test of how much she loves it. 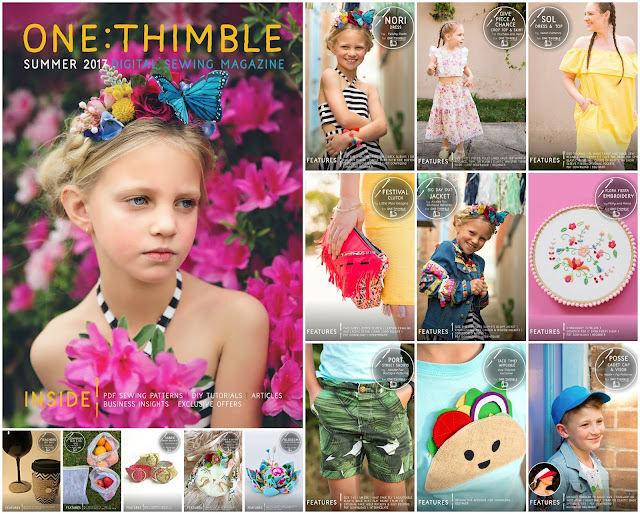 Thank you Penny Rose Fabrics for these gorgeous fabrics!! !